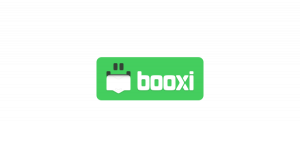 Booxi is an appointment scheduling software that offers users with unlimited online bookings. Its features include automated SMS and email reminders, customized messaging, multiple staff calendar view, POS integration, and more. We compiled Booxi user reviews from around the web and determined that it has generally positive ratings. We also shared its available pricing options. Users who recommended Booxi said that the app helps them become more time-efficient, as it relieves them of manual booking tasks. They also like the customized reminder feature that automatically sends messages to their clients which helps reduce missed appointments. Users also commended the responsive customer service. Users who gave negative reviews about Booxi said that it needs to expand some of its features to include more specific client-related reports, a wider space for customer descriptions, and a month-on-month booking history. Some of them also said that the interface has a very basic design. A user who left a positive review on Capterra said that he likes how Booxi allows him to manage bookings and payments in a single system, making tasks simpler. He also said that it seamlessly syncs with Google Calendar, which helps organize his schedule more efficiently. A user who left a negative review of Booxi on Capterra said that the mobile app experiences glitches, especially if there are multiple staff working all at once. However, he highlighted that these issues are resolved with the help of Booxi’s customer service. Booxi offers three subscription plans: Professional ($20/month), Business (starts at $40/month), and Enterprise (starts at $80/month). The main difference between the plans is the number of users. Business and Enterprise subscribers have the option to add employees for $7/employee/month. All plans offer unlimited bookings and reminders, as well as email and phone support. Check out the list below of some of Booxi’s features. Yes. 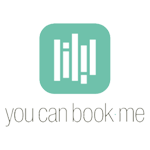 Interested users may avail of a 14-day free trial or request for a live demo. How does Booxi help business owners manage their clients? Booxi software allows users to gather customer information, track appointment history, and keep notes to provide a personalized customer experience. There is also a feature that allows them to create and send customized text messages and email notifications. How does Booxi help business owners manage their staff members? Booxi users can easily manage a large team of professionals with features like multiple calendars, individual pricing, and dispatch appointments. Business owners can add multiple staff to a single calendar view to see more appointments and availability at once. What types of businesses can make use of Booxi’s features? Booxi can be used by a wide range of businesses such as salons, wellness spas, healthcare providers, tattoo shops, pet clinics, and more. This video provides an overview of how Booxi helps business owners save time through an online booking system. Not sure if Booxi is the right fit for you? Read our reviews of all top appointment scheduling software or check out one of these three Booxi alternatives.